The Brush motor had extensive damage on its sliprings and carbon brush gear. 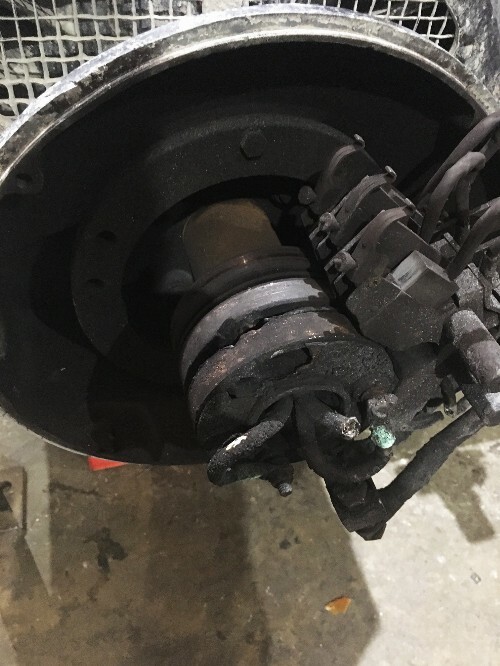 We also carried out a full overhaul of the Slip Ring Motor which included a full bearing change, stove and varnishing of rotor and stator, balancing of rotor and a full respray of unit to original machine manufacturers specification. 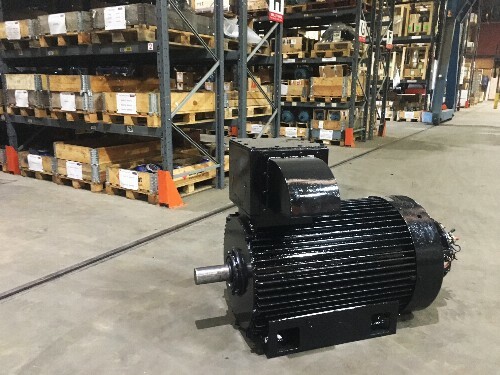 JJ Loughran engineers carried out a full detailed mechanical and electrical inspection of the Brush Slip Ring Motor before it was disassembled, the electric motors winding integrity was also checked with our Baker electric motor tester. Our engineering manager then briefed our customers as to the extent of the works that needed to be carried out. We carried out a full disassembly and cleaning of all parts. A detailed inspection of Brush motors main components including slip ring gear was also carried out. We measured all critical dimensions to ensure there was no mechanical wear on shaft, bearing housings or any other main mechanical components. Our engineering workshop stock a wide range of slipring spare parts and as a result we had the required brush gear, slip rings and carbon bushes in stock to carry out the overhaul as required. 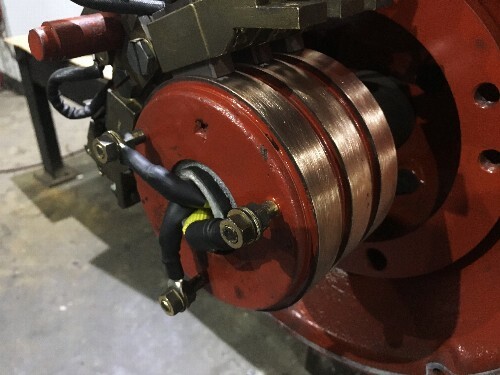 Our engineers had to Re-Terminate the connections on the slip ring gear with heavy duty copper terminals. The motor stator and rotor was then re-lacquered and stoved overnight. We then balanced the rotor on JJ Loughran’s state of the art IRD soft balancing machine, which gives our customers the most accurate and comprehensive balancing reports. We Supplied and installed SKF Drive and Non- Drive end bearings as standard. We then tested the stator and windings on our Baker motor tester to ensure the integrity of the repair. The following tests where preformed and result recorded. Once we confirmed that all the motor parameters where nominal, we then reassemble all parts and test run the electric motor on our state of the art test bed. All results including rpm, vibration, torque, speed and amps are recorded. Verification tests were also carried out to ensure correct operation of associated slip ring equipment. A full re-spray of the electric motor was carried out to its original paint specification. JJ Loughran delivered the reconditioned Motor back to site in one of our new service vehicle.